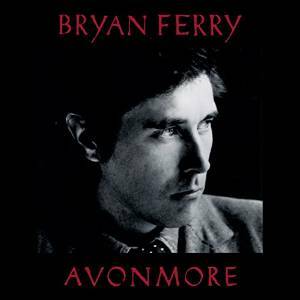 The former frontman for Roxy Music’s latest release Avonmore is a bit of a stylistic departure for him in that it indicates some sonic – precisely electronic programming – textures than on previous solo albums. Those influences blend in rather seamlessly with his typical sleek romantic pop on a record – featuring an all-star cast including Nile Rodgers, Flea, Steve Jones, Johnny Marr, Maceo Parker – that could be said is Ferry’s best to date. It’s almost like hearing Roxy Music’s Avalon and Ferry’s Boys and Girls updated for the 21st century: the standout “Driving Me Wild” is superb noir-ish danceable funk as well as “One Night Stand”; the album’s opening cut “Loop De Li” is a track that could have been on ferry’s 1994 album Mamouna for its pulsating rhythm. Even while it braces some experimental soundscapes, Avonmore is still classic Ferry in the jaded-melancholic romance department as evidenced on the detached loneliness of “Soldier of Fortune” and the exquisite yet yearning “Midnight Train.” And what is a Bryan Ferry record without two unique cover songs: in this case, he radically re-works Sondheim’s “Send In the Clowns” and gives a moving performance of Robert Palmer’s “Johnny and Mary” (a collaboration with the DJ/producer Todd Terje, lending a very stark and haunting feel to the original song’s New Wave-ish overtones. Avonmore is the iconic pop legend’s finest work as he continues to convey the singer’s ongoing persona of the unrequited lover.